MAHAR is the expert in locating areas of loss and turning those same areas into projectable areas of profit. We make and keep you running efficiently. MAHAR drives efficiency. No matter how large or small your inventory, Mahar Tool can find a vending solution that will work best for your business. Mahar Tool can assume responsibility for your existing vending solution. We will help you streamline your current process from replenishment, to putaway to reporting. Mahar Tool can manage your inventory using vending and/or scanning solutions. We can integrate the information flow with our system for total replenishment & usage tracking. Our team can then analyze usage patterns to offer you the best solutions and greater cost savings, lower CPU, and elimination of bottlenecks in your manufacturing process. 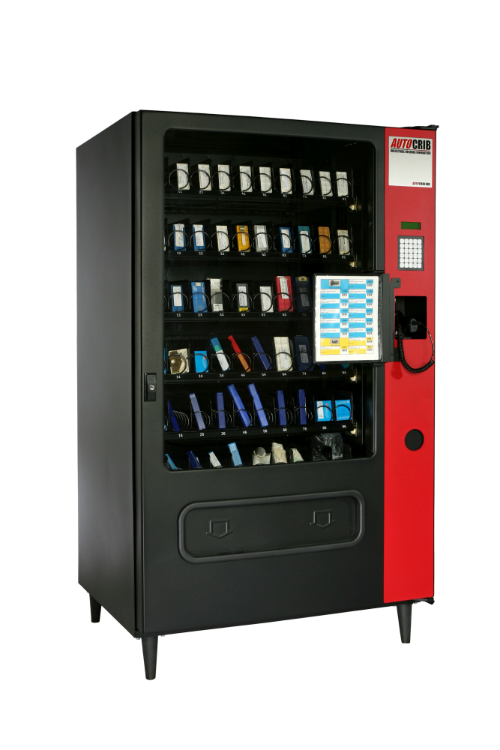 Our Vending Team has vast experience in the US and internationally with many vending options and brands, including our flagship products from AutoCrib. AutoCrib EleVend – Glove Dispensing and PPE Vending. Mahar Tool Supply Company, Inc. • All Rights Reserved.